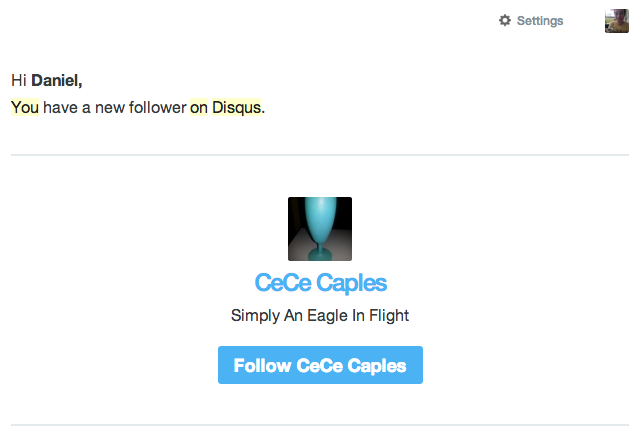 When a new user follows you on Disqus, a notification email will be sent to your address. However, these notifications are handled a little differently in our system than other notifications. It is not currently possible to disable notifications for new followers, unless you turn off all notifications for your user account. For more information on how to disable all notifications, see Disqus Web Notifications. 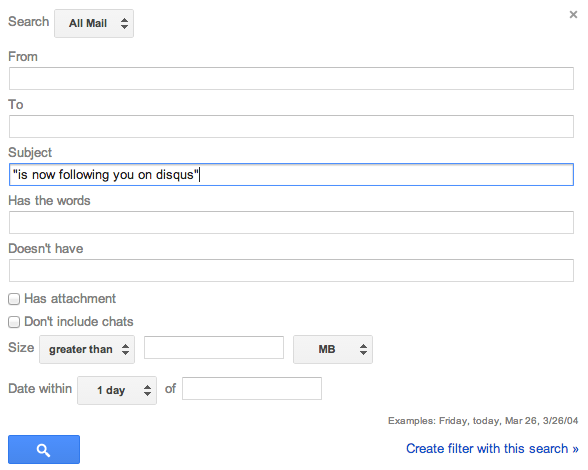 If you are using Gmail, you can create a filter for Disqus follower notifications by searching for cases that have the subject "is now following you on disqus". If don't want to see these in your inbox, you can stash them away in a folder, or send them to the trash. Other email providers offer similar filtering features.